Most of us live busy lifestyles that leave little to no time available to spend on our garden space. In recent years there has been a rise in maintenance free gardens that require little to no maintenance from the home owner. The design and use of materials for these gardens is actually quite simple. Stone and paving areas are very popular in a maintenance free garden space. Once installed they stand the test of time against our harsh Irish climate. The only maintenance required is the occasional plucking of weeds that once in a while sprout through the cracks. Nothing too strenuous. 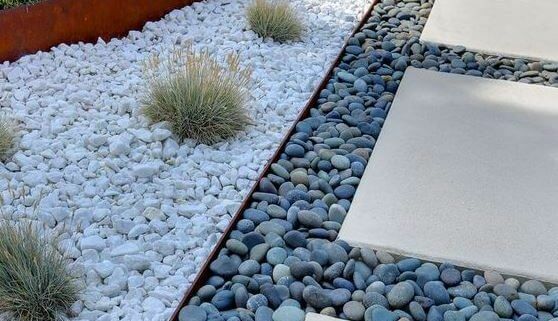 Plants must be hardy and not grow excessively in the summer months, Grasses are widely used in maintenance free gardens as they look great and give a modern look when planted in a bed of Ballylusk stone or pebble rock for example. Plants do however require some maintenance so most of the time a few dotted around the garden space is enough for maintenance free fanatics! Artificial grass is becoming increasingly popular. Every parent with children playing in a mucky back garden wish to have it installed. It does indeed reduce the amount of muck on your carpets and requires no cutting or edging whatsoever. The downfall in my opinion: it does not come close to a freshly laid grass lawn in looks, smell or feel. Timber decking or composite decking can also be used to construct a BBQ/ entertaining area instead of a paving stone patio. The composite decking does cost more to lay but will not suffer from decay or rot like timber. It also cleans easier when pressure washed and does not accumulate moss like timber decking. These are just a few ideas that are common to a maintenance free garden. They are becoming increasingly popular with families unable to stay in control of their garden space. 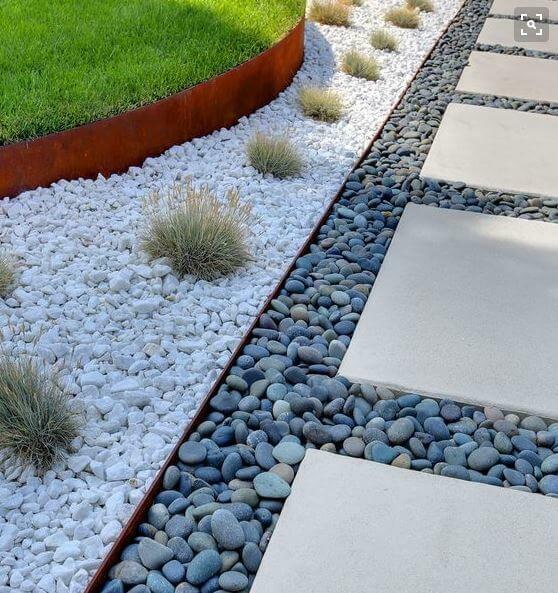 The design is very simple really: just reduce growth and include hardscape materials that require little attention. If you wish to have yourself a maintenance free garden that requires little to no work year around contact Luke to discuss your project.